These preserved Canadian National FP9'a are yet another welcome addition to Northeastern Power. Engine #6505 is currently used for the Notch Train which travels through the spectacular Crawford Notch - past sheer bluffs, steep ravines, cascading brooks and streams, panoramic mountain vistas, and across the famed Frankenstein Trestle and Willey Brook Bridge - enroute to Crawford Depot or Fabyan Station. The NSC has announced the Boston & Maine's GP 38-2 #200 in its 1976 Bi-Centennial patriotic collors made by Atlas along with it's companion 50' single door Bi-Centennial boxcar, made by Micro-Trains. If that wasn't enough they have also commisioned Micro-Trains to produce McGinnis Era on the Boston & Maine 3 Pack with replicas of the experimental paint schemes as applied to actual box cars during the 1950's. I am sad to report that after three years with NO internet connectivity problems, my provider is having an area wide problem with upload bandwidth. The last speed test I just performed showed the upload speed from my network to the internet anywhere between 3K - 20K ( less than half of dial up ). This is normally between 768K and 1 Meg even with many users on. With any luck the issue will be resolved in a timely fashion and I thank you all for you patience. Spring is in the air and the days are getting warm and sunny. The Bluebirds are out, sold out that is. 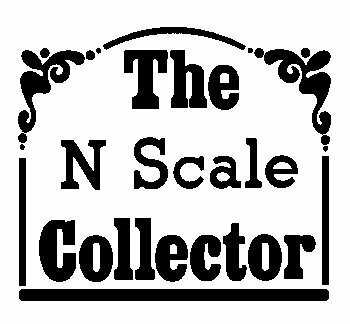 Northeast N-Scalers first custom run has been an outstanding success and we're already talking about what to do next. It was a great experience being able to further the hobby and please alot of B&M fans. We recieved an outstanding responce and a mass of positive comments. We wish to thank everyone who supported this effort. It's also the start of that time of year that model railroading time tends to be a little more scarce and ends up taking a back seat to yard work, vacations, cook-outs and hopefully a lot of railfanning. To aid in the sharing of all of thoose great train photos, we have just completed the upgrade to the latest Coppermine Photo Gallery. Some of the of new features that have been added are the ablity to sort photos within an album, and previous album selection to make uploading mulitple photos to the same album easier. Have a Happy Easter from Northeast N-Scalers. 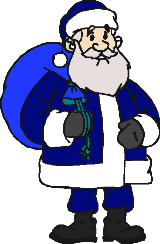 Santa, being the Boston & Maine fan that he is, has arrived this year with slight change to his normal outfit. The "Bluebirds" have arrived and are being delivered by the big guy. Thank you everyone for the support and enthusiasm while doing this project. We wish everyone a Merry Christmas, Happy Hanukkah, and Happy Holidays.